Coffee or tea, or how about both to go with your morning toast? Scientists have now discovered the ultimate brew that they say is healthier than both the beverages: a tea made from coffee leaves. Researchers say that the rare type of tea made from coffee plant leaves, which tastes less bitter than tea and not as strong as coffee, contains high levels of compounds that lower the risk of diabetes and heart disease. The brew also has less caffeine than tea or coffee and contains more antioxidants than traditional tea and high levels of a natural chemical ingredients found in mangoes that fights inflammation. 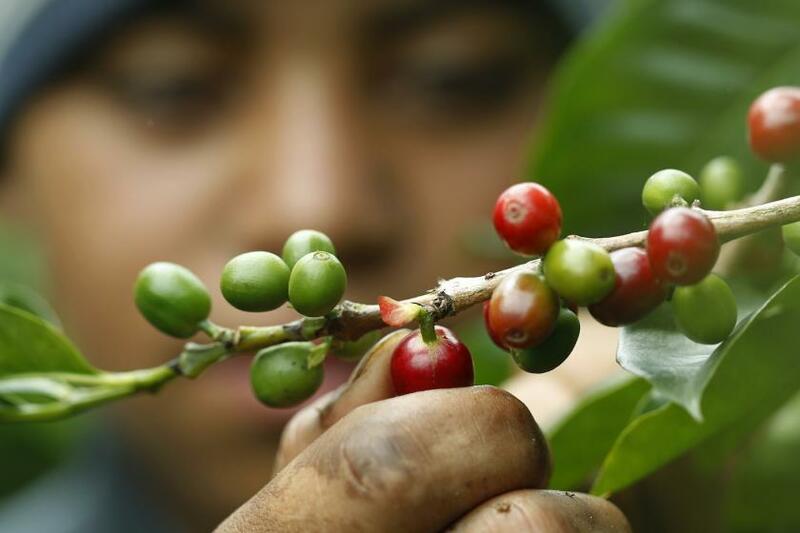 Researchers from the Royal Botanic Gardens in Kew, London, and the Joint Research Unit for Crop Diversity, Adaptation and Development in Montpellier, France believe that the leaves of Coffea plants have largely been ignored because of the high value placed on the plant's seeds or coffee beans, which researchers say are nowhere near as beneficial and contains far fewer healthy compounds than its leaves. Researchers believe that coffee leaf tea, which is already being consumed in places such as Ethiopia, South Sudan and Indonesia, could be the next new, healthy alternative to coffee and green or black tea. Researchers Dr. Aaron Davies and Dr. Claudine Campa tested 23 species of coffee plants and found that the leaves of seven of the species contained high levels of mangiferin. The study published in the journal Annals of Botany found that Arabica coffee leaves contained the highest levels of mangiferin, which is believed to have anti-inflammatory effects. Previous studies also found that inflammation-lowering mangiferin also lowered the risk of diabetes blood cholesterol, and protected neurons in the brain. Researchers said that the leaves also contained the higher levels of cancer-fighting antioxidants than tea or coffee. "In 1851 people were touting it as the next tea and there were all these reports about its qualities," Davies said in a statement. "It was said to give immediate relief from hunger and fatigue, and 'clear the brain of its cobwebs'. It was also said to be refreshing - although some found it undrinkable," Davies added. Could Two Teaspoons of Coconut Oil a Day Keep Alzheimer's at Bay?